Specifically supplied security guards to work in your offices, we are a manned guarding company and have a team a quality security personnel to work in your office building, our guards can work with our reception security. United Arms Security provide a managed office security service, all our security personnel are trained, licensed by the SIA, we carefully match our personnel to your scenario, to ensure that our guards will seamlessly fit into your environment as part of your team. 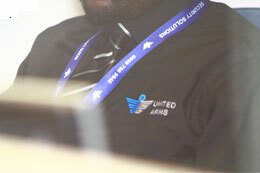 United Arms Office Security Service keeps in mind that your office gives an impression of your company. 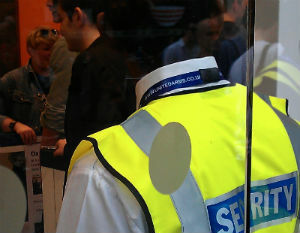 Security companies security staff will also give an lasting impression of your company. With a range of security uniforms that our security personnel can wear – you can be sure that our security guard will fit into your office environment. Our Security Guards who work in office environments exercise discretion with vigilance to ensure that opportunist do not take the often relaxed atmosphere for a weakness in security. We continously train our security personell and ensure that your office protocols are clear to all staff, our staff are able to ensure that your building in safe, we monitor out of hour patrols, our staff can ensure that sensitive areas of your building, boiler room, plant room, server room are secure out of hours, we are also able to co-ordinate with your contractors, in the event of a leak or malfunction. for more information on our solution to office security, contact for a no obligation proposal and quote.